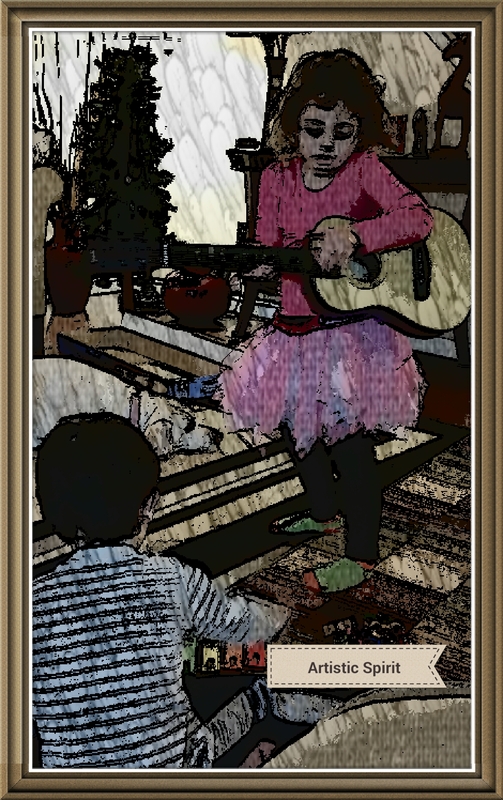 She holds the guitar in her toddler hands and strums as she sings. We taught her how to cradle the instrument, yet we haven’t mastered anything more advanced. The notes she plays are random as the frets remain untouched by tiny fingers. She’s loved music since infancy – would stare at me with those gorgeous, attentive eyes while my voice filled the air with melodies. Her cries would cease as she listened to my songs and as she aged, her focus shifted to watching the muscles in my neck. Her hands touched, ever so gently, as the air moved through my windpipe and my instrument made music. Now, she dances and sings at the top of her lungs, a love of art emanating from the soul within and the spirit that surrounds.